You may have seen one of these monitor traps in the bathroom at a restaurant, or in the corner of a carpet store. 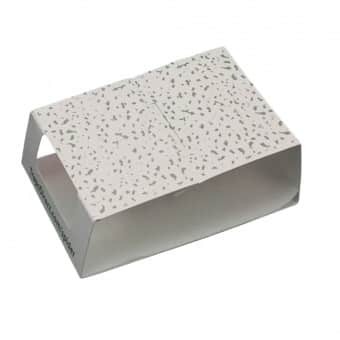 It’s a simple paper board glue trap typically white on the outside, with square edges measuring 3 – 4 inches wide and 2 – 3 inches deep. 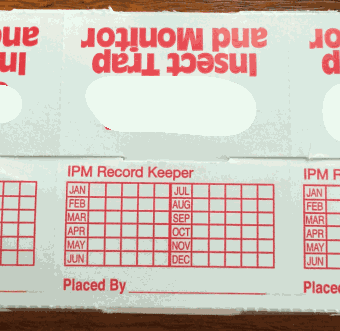 On the outside you’ll find manufacturer model information in black, red or even orange ( marketing message colors) and a grid with months and weeks called a IPM Record Keeper. Alternatively you may find a pest control company name on the outside of the insect monitor as a form of advertising. The familiar tent type insect monitor will often have a rectangular cut out on either side, and a warning saying in English and sometimes Spanish “Do Not Remove” / “No remover” along with a grid that shows months and several columns. Frequently these insect monitor traps will have a mounting strip or anchor on the underside. Because the spider trap has windows, it can’t have a sticky glue / adhesive in those spaces, and also the ceiling has no trap surface. The need to record the insects doesn’t exist in a home setting, so this record keeper is un-needed and ugly. Because insect monitors are reasonably priced, it enables consumers to be liberal in the placement of the spider traps. 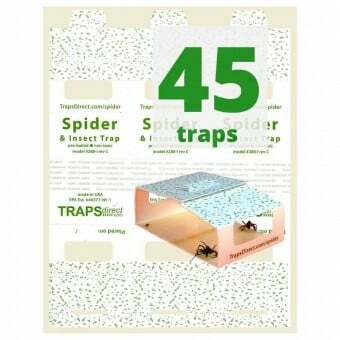 The more traps you place, the better the odds of intercepting a spider wandering along a baseboard or edge of the furniture. Never intended for retail sale, insect monitors typically are shipped in a cardboard box, with single color printing, or for smaller counts may simply be placed in a plastic bag. Great for the environment. 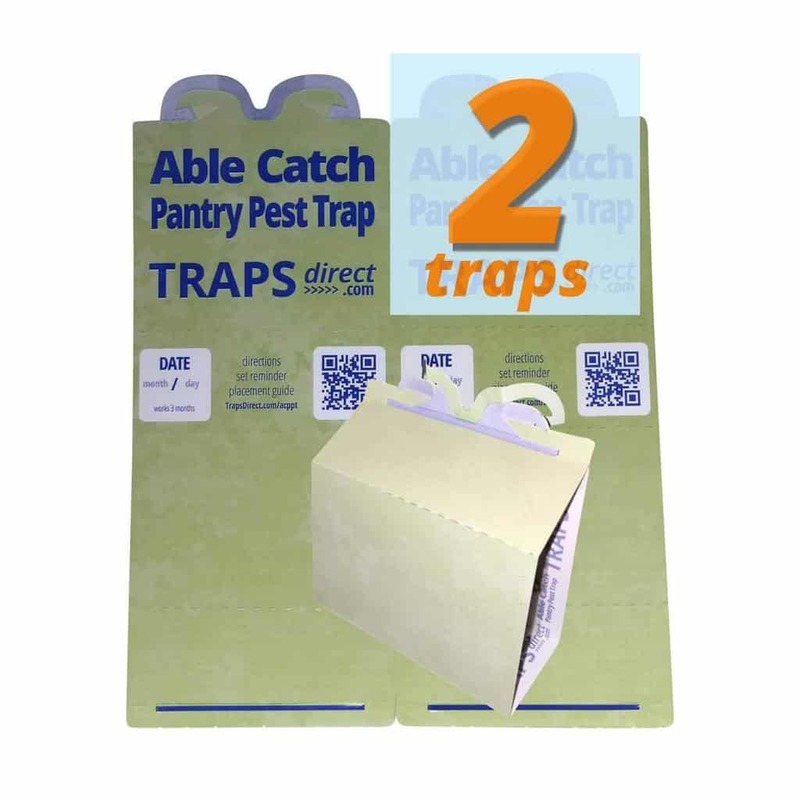 It turns out many consumer pest control companies offer retail packaged purpose designed spider traps, but the burden of wasteful packaging and consumer pricing makes them unattractive. 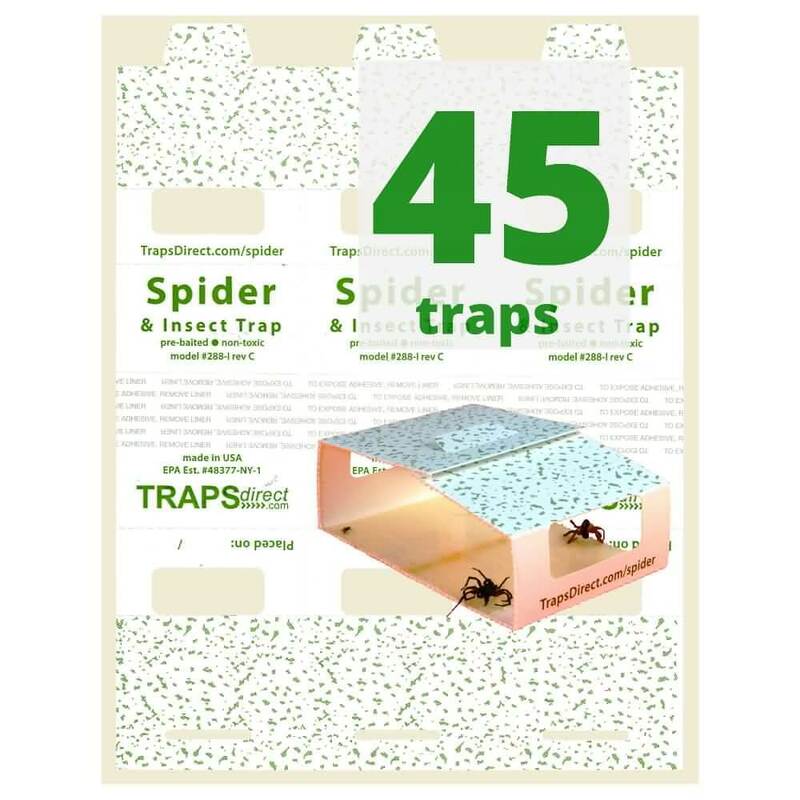 But Traps Direct – Green 288i Spider Trap gives home owners a discrete alternative, with the same catching power. This entry was posted in Ask Cleaner Today Traps, Spider Traps Blog and tagged brown recluse spider, Green Spider Trap, house infestation, insect monitor.